Denna produkt ger dig 526 bonuspoäng. Däck, färdiglimmade, Alias Tires with Tracer 2.2' Black Chrome Wheels (assembled, glued) (rear), 1 par. 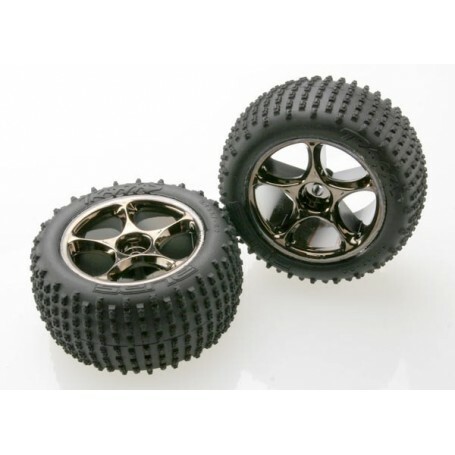 Alias 2.2' medium compound tires come assembled with foam inserts on Tracer 2.2' wheels. Available in mirror chrome and black chrome finish.